Digital marketing has more CMOs seeing the value in a strong brand that can support engagement across multiple platforms. 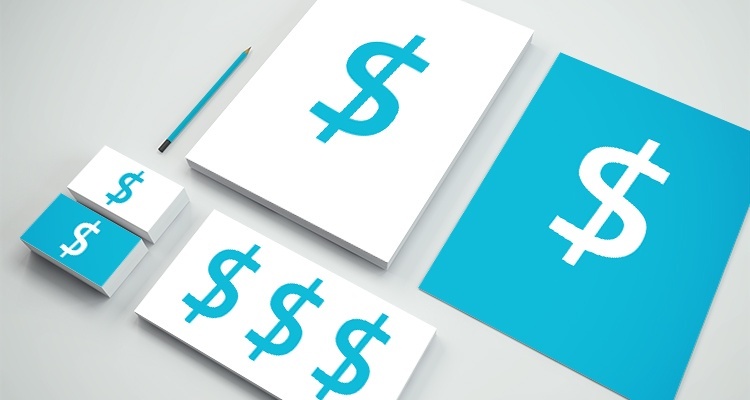 With B2B budgets poised to grow in this area most, let’s take look at how a Minimum Viable Brand can save your budget. Last year, Duke University published a survey of Chief Marketing Officers that predicted a 9.7% spending increase on brand building for 2017. This raised some eyebrows, as it was a 3% jump from 2016 and nearly double the spend for such endeavors during the prior three years. When marketers start talking about vision statements, mission statements, value propositions, story, voice and all the elements that go into brand guidelines—it can start to feel very expensive very fast. Each of these tenants should be well-articulated and agreed-upon throughout the organization and baked into the customer experience before entering the brand launch stage. The MVB should be internally reviewed and signed off on by senior management, along with a creative resource and an external facilitator for an “outsider” perspective. The heart of the MVB rests on #1 and #2, both of which should inform all decisions involving the “if” and “how” to pivot when the time comes. Your brand essence, which can sometimes serve as your mission statement, is your company’s rallying cry. For HubSpot, it’s: “To make the world inbound, one business transformation after another.” TED’s well-known, well-captured mission is simple and easy to remember: “Spread ideas.” Place the focus on how well your brand’s essence captures your organization’s core values rather than what you call it. Your brand values should serve as the guiding light for your brand’s actions and behavior in the marketplace. When your team unites for the same brand values, you increase the chances that your consumers will receive a consistent experience from your brand. It’s that consistency which builds brand identity and consumer confidence. Think about it: if your organization were to be represented by a person, who would that person be? Next, position your brand in a way that speaks to a specific target customer (or, your brand’s buyer persona). When brands cultivate a unique purpose, positioning, and key differentiators, they’re more prone to attract a loyal, high-quality following. Concentrate on what sets you apart from the competition and make it a focus of your identity. It doesn’t have to be something you do better; it can be something you do that no one else does. Or a belief or attitude you prioritize that others don’t. Push aside the fear that having a specific focus will alienate prospective customers—reaching a particular target gives brands a leg up in a noisy marketplace, and resonates with customers in a more powerful way. Just think about the brand “stickiness” that Apple has managed to maintain over the years with its ever-loyal customer base, or Nike’s track record of successful digital campaigns. Just remember, you have room to further refine your brand focus and target audience after your product launches. But with too broad a focus, differentiating your brand with those first impressions can be a challenge. The MVB should engage consumer senses with emotional appeal. In the digital age, it’s a rare thing for an idea to be entirely “brand new” to the world. Most products are a “new and improved” iteration of the product before them, or are based on a particular detail (like a new feature or function). With customer attention steadily decreasing, it’s a challenge to generate and sustain appeal—at least in the short term. To truly make your mark, play to your brand’s unique features through emotion. Providing a link between emotional values and the details of your product will forge an emotional connection with your customers which, in turn, will translate into a more meaningful customer relationship. Finally, none of the hard work you put into building your brand will matter if you don’t actually deliver on it in the real world. Make sure the essence of your brand is not only reflected in communications but in the actions of your employees and quality of your products as well. The consumer experience will be the final arbiter of whether your brand succeeds in the long term. So make sure your day-to-day business can truly walk the talk of your brand promise. Branding for business, big or small, is an ongoing process. But if you start, test, and refine early on, you’re on the right track to building a brand that people will respond to. Having an MVB will save you time and money, while equipping you with the right tools to approach the marketplace with a winning attitude. 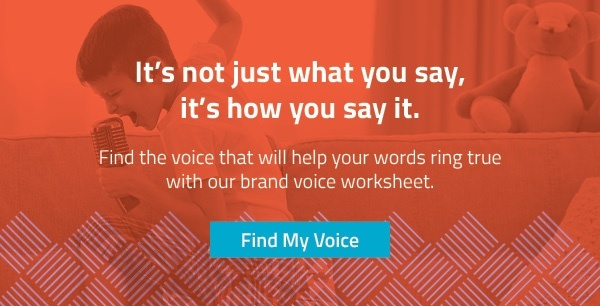 Download our FREE Brand Voice Worksheet to get started—then contact us to learn about our unique on-site Brand Audit! Editor’s note: this blog post was originally published in May 2016 and has been updated to include additional information.